Just waiting at home for it to be over. SAN CLEMENTE, -(CA)- San Clemente landscape contractor Jim Miller, a lifelong surfer, determined he would not go in the water for an afternoon session Sunday after checking the waves from a popular clifftop lookout off Basilone Road above Trestles surf beach. As he returned to the road along an overgrown cliff trail, he was bitten on his right foot by a rattlesnake he never saw. The trail he usually takes is overgrown because of recent rains and has narrowed to less than a foot from the usual 3 feet, he said. “I heard the rattle just as he got me and then again as he was taking off,” said Miller, 54. “I knew it was a rattlesnake right away and called 911 with my cellphone. No more toes to the nose for awhile. The U.S. Centers for Disease Control and Prevention says five to seven deaths occur each year in the United States from among 7,000 to 8,000 reported rattlesnake bites. Such bites also can have serious side effects. About 800 rattlesnake bites are reported each year in California, with less than 1 percent of them fatal. According to the California Department of Fish and Game, six species of rattlesnakes – of about 30 types found worldwide – are native to California, living in areas from below sea level to more than 10,000 feet. Generally, rattlesnakes hibernate all winter and come out to find prey such as small rodents and lizards in March and April. They return to their dens to hibernate in the fall. Remember to keep a sharp weather eye out for rattlers. Rattlesnakes, which can grow up to 6 feet long, produce venom in glands behind their eyes. They disable prey and fend off predators by injecting the venom through hollow retractable fangs. Most snake bites occur as they travel between their dens and their prey. Rattlesnakes get their name from the distinctive rattle on their tail, which they use to warn intruders. The rattle grows segment by segment as the snake changes skin, or molts, which occurs several times a year. Miller said his regular physical activity, such as surfing, swimming, cycling and yoga, were big factors in his survival. But without the arrival of paramedics within minutes, he’s not sure what the outcome would have been. Miller said he initially felt pain from the bite, but soon the feeling became as if he had been put in a straitjacket with locks clamped on his chest. He concentrated on staying calm and breathing at an even pace. After he was taken to Saddleback Memorial Medical Center San Clemente, medical personnel noted his pulse at 150 beats a minute, and he had intense tingling in his lips, eyelids and fingertips, Miller said. He watched the swelling climb up his leg and into his abdominal area that even two days later had not receded as he rested at home. Surfers at Trestles said Tuesday that they had not seen any rattlesnakes lately but generally were not surprised to hear about Miller’s bite. Josh Baxter, 41, of San Clemente has surfed at Trestles his entire life and said he saw a 5-foot-long rattler last year on the trail near where Miller was bitten. What do you do if you encounter a rattlesnake on a trail in or around San Clemente? The Richard and Donna O’Neill Conservancy is offering a workshop at 7 p.m. April 13 at a site to be determined, presented by the North American Field Herping Association. It’s about local snake species and dos and don’ts. It’s free, but reservations are required. Email staff@rmvreserve.org. For Whom The Road Tolls. 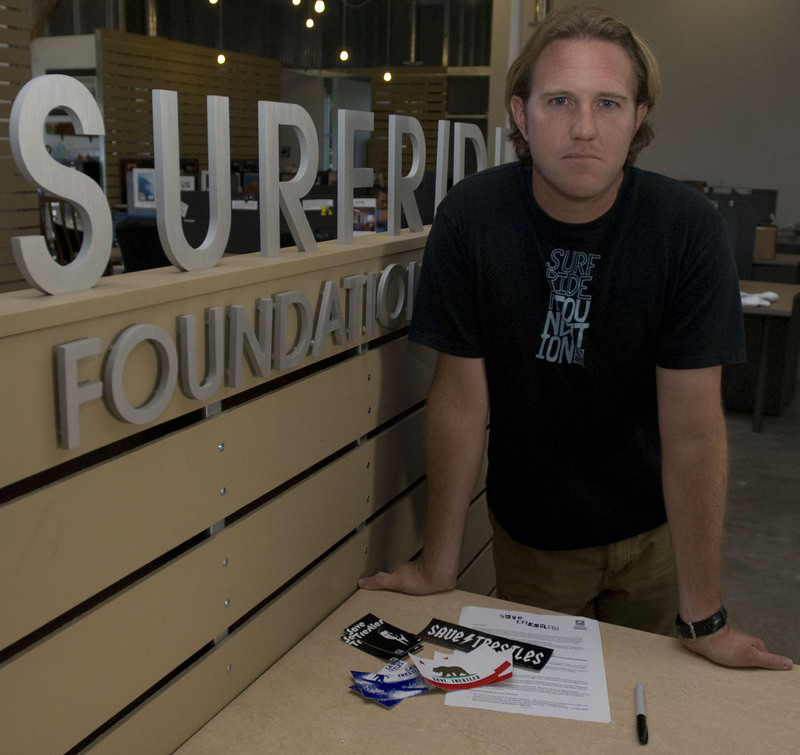 DETERMINATION:Surfrider Foundation Assistant Enviromental Director, Mark Rauscher, is confident that after the California Costal Commission Hearing last Monday in Del Mar, California, meets again in January, the decision will be no Toll Road at Trestles Surf Beach. This last week I got an assignment that no one else wanted. I had written something on the Toll Road issue a couple of weeks ago; I finished the blog entry with a silent quest to find out more about the Toll Road Extension issue. I had mentioned before that I was 60/40 opposed to the Toll Road extension and now I will reveal that the percentage was due in large part on my wife’s strong opposition to the Toll Road(Disclosure:we both have TCA transponders in our cars). My wife has a sharp political eye and I always listen to what she says because she is so much in tune with what is ultimately right and wrong and whether it’s a popular opinion or not. I don’t always agree with her on everything and as we have not had a tv in our house in 20 years, we “discuss” and “go-over” things….a lot. From a editorial photographer’s point of view, writing an article, is signifigantly more work than just taking the photos. Don’t get me wrong, my eyes “sweat” to get just the right shot but the mind “sweat” I had over this article got my attention. It was actually not that difficult to write, just putting down the words in a certain order really. The harder work was effectively wading through the information to make it all acurate and balanced. Usually the lense and camera body record exactly what I see but interviews and digging for that kernel of interrestingness is another matter. I really enjoyed it and my point of view is a little selfish. I am finding out how I see the Toll Road issue at the same time I am reporting on it. I enjoy most the “detente” of staying impartial and delivering sentences that portray the situation as it is. I wrote my article and turned it in a little over the deadline. I had made some calls to the elected types and was a little down that, by the deadline, I hadn’t heard from them. It would have made the article that much more interesting and informative. I am hoping the story has legs and I can do a follow up. Already, there are a few sidebars that I can write and most likely will. Meanwhile I’ll continue to investigate and see where the facts clash and who is left standing at the end. The good news for me is that, now, the Toll Road issue is in a holding pattern until January 7th, awaiting a decision from the Secretary of Commerce to make a decision; it seems like this will be a house by house street fight in the old school tradition. Everyone is going to loose a little blood in this I think. Room 241 at the San’O-Terium. A view through the reeds from the estuary at Trestles. 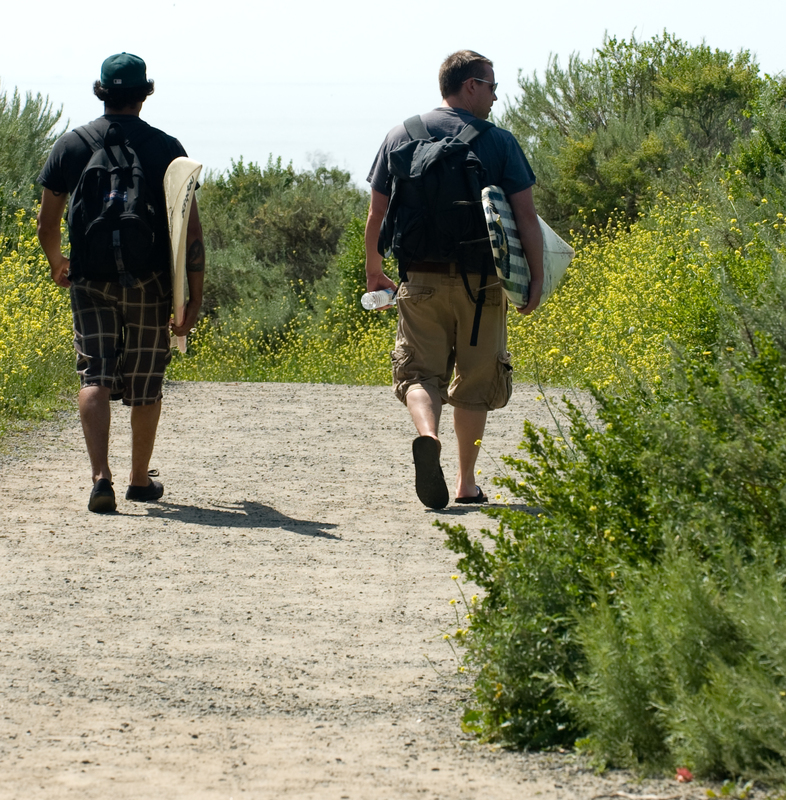 I helped a Photographer from the OC Register take some equipment down to Trestles last week for a shoot he is doing. I’m not going to spoil it, but it’s a pretty clever feature on the bueaty that is so close to us at San Onofre State Beach. I couldn’t help think about what a toll road would do to this precious spot we have and the fact that everyone has access to it. Honestly, I am 60/40 opposed to a toll road…but that could be changing…I began to read in the Sun Post News some of the points of view that the city council candidates have in regard to the toll road going through or not…and the adjustments or solutions they have. I think that before elections in November, we are all going to have to take a deep, hard look at what the exact situation is and what the options are. A single punched hole in a numbered card that you make within a thin cardboard voting booth seems so simple to do but will have a such a lasting effect. Before you vote, if its the only thing you do, examine well, exactly how you will vote. I suggest a walk down the path to Trestles; a couple of hours or even an entire day that you spend and how you feel at the end of that time, could mean decades of changes that can’t be un-done. I mean that as much for both sides of the issue; the toll road and maybe less traffic and a toll road and perhaps no natural disaster.